It's true, we love positive feedback! 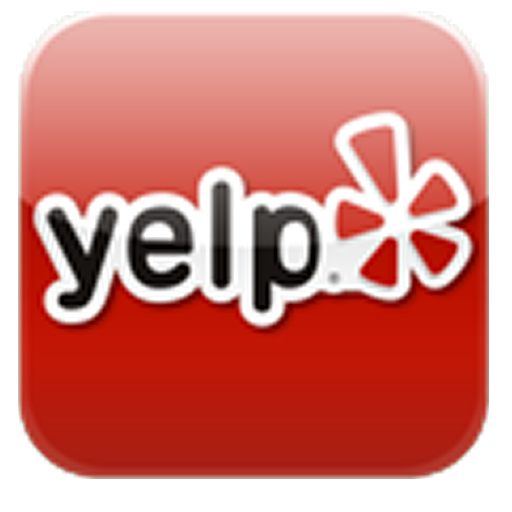 However, we also urge you to let us know if there is anything you might be unsatisfied with. immediately if you've had any trouble with your order or you feel there is something we could've done better. 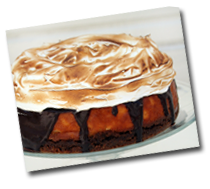 Graham cracker crust with cocoa infused cheesecake covered in chocolate ganache and toasted marshmallow. Creamy vanilla infused cheesecake sits on top of a sweet n' salty crust of crushed pretzels and is coated in our chocolate ganache. Mimicking both the texture and taste of your favorite Ferrero Rocher candies. A hefty layer of our Nutella infused cheesecake sits on top of a nutty cookie crust and is enrobed in our chocolate ganache. Uh - yum! 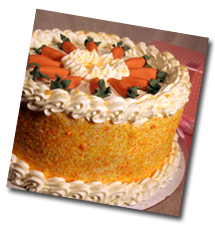 Available in PINT (1dzn), QUART (2dzn), HALF GALLON (4dzn) or party trays. We really don't like to mess with a classic. Sweet with a bit of salt, just as it should be. 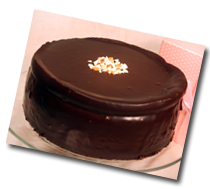 A rich chocolate cookie flowing with creamy white chocolate and semi-sweet chocolate chips through-out. This fork pressed, "dunkable" treat speaks for itself. Flaky on the outside while still tender and moist on the insde, they are guaranteed to bring out the kid in you! Watch us bump up your bubby's classic macaroon recipe with a little bit of citrus. Looking for a little bit of spice?? 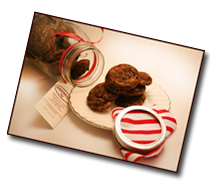 This rich chocolate cookie packs a little kick of cayenne for a more sophistocated flavor. Available in Classic Cake Sizes, Cupcakes, Miniature Cupcakes and Custom CakeArt*. 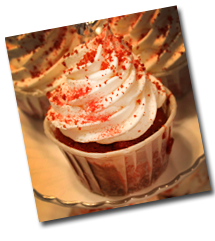 Cocofluff – Our #1 selling flavor combo! There's nothing plain about this vanilla cake. Bright red in color, this light and airy cake is nicely paired with our white chocolate cream cheese frosting. Our take on "Dominican Cake"
*due to structure concerns, some flavors cannot be used for certain CakeArt projects. A classic shortbread crust smothered in our mouth-puckering lemon curd topped with a thick layer of powdered sugar. The perfect clash of sweet and tart! 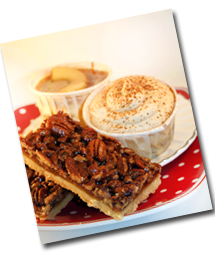 Toasted & lightly salted pecans drenched in a creamy caramel are poured over a flaky shortbread crust for all of the goodness of a pecan pie in a personal sized treat. A cross between a fudgy and cakey brownie topped with our honey infused cocoa glaze. Custom designs require custom pricing. A different cookie flavor each month! 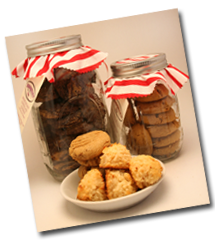 We'll send 1 quart sized jar filled with two dozen cookies for 6 months!